The Decomposer doesn’t work yet. I had been working under the assumption that Sketchup performed true volume intersections. Well, it doesn’t – it only performs edge intersections. If you attempt to intersect a voxel in the middle of the model, there’s nothing generated. This requires a minor change in plans. My original discussion mentioned a slice, then a strip then a voxel, but I tried to short circuit it in code; my mistake.Something for another night. Started populating the motor controller board. I received my order from Batch PCB today. After the boys went to bed, I started populating the board. 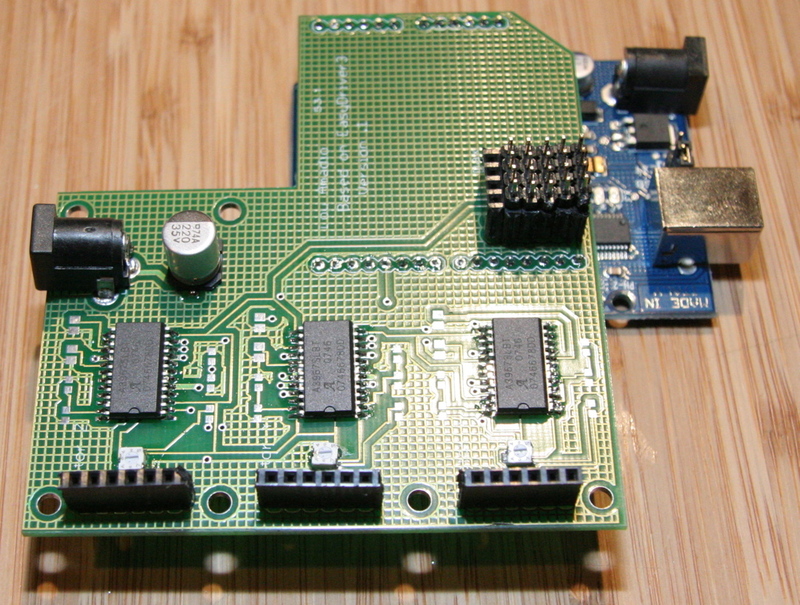 This is my first board using surface mounted components. 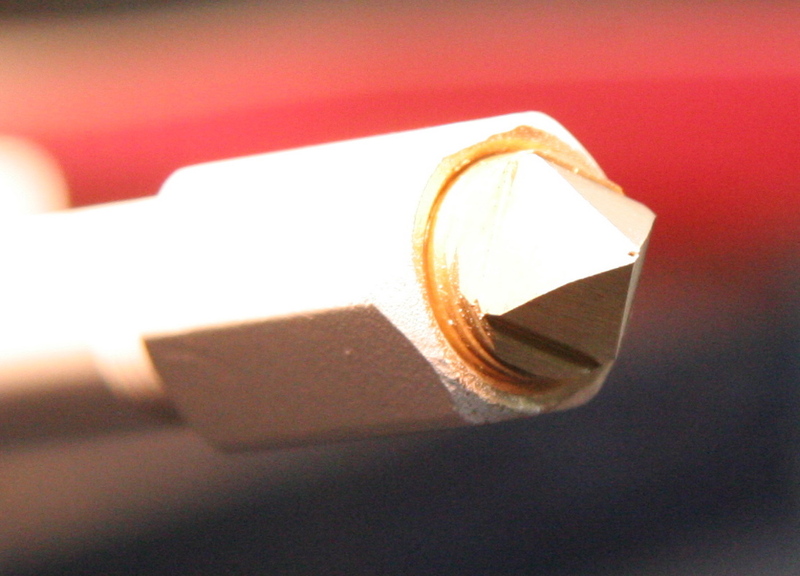 The variable resistors turned out to be the hardest – they have 3 points of contact. I didn’t label the capacitors or resistors, so I’ll need to print out a guide when I put those in. Things are finally starting to get real. Time for some progress photos! I ordered a bunch of components from the 8020 garage sale on eBay. I had opted for plastic end joins, and 3 linear motion bearings. The bearings were very expensive, so I may look for something different in the future. I spent a few hours on the extruder this past weekend. Was able to construct the head, heater barrel, and motor mount. I picked up the parts from from the plumbing isle – 4″ brass barrel, coupler, and an square end stop. I filed the end stop down to a pyramid, and drilled out the inside to reduce the amount of material I needed to punch through with the small bit. In hind sight, I should have hand drilled the extruder hole as 500 rpm was too much for the tiny drill bits – I broke 3 on the attempt. I coated the barrel and coupler with a high temp enamel finish in order to prevent the nichrome wire from shorting out to the barrel. The motor control board is currently “panelized”, and being fabricated. I had expected it to be done last week, and started populating it this weekend. After I submitted it, I realized I could make a simple modification to the design which would enable the board to be switched into “high res” (microstep) or “high speed” (full step) mode. This is done by routing two control lines on each of the drivers to an output pin on the controller; a high signal on both lines is microstep, low is full step.I’m starting to look into building a 2.5 amp version of the board using the 44pin PLCC 3977 from Allegro Micro. They have been fantastic about supplying samples for development. Where, oh where, do I find plastic? Finding small quantities of HDPE or ABS in 1/8″ cord or granules is difficult. I can get granules in 55 pound bags, for $2 per pound or ABS cord in 25 pound rolls at $7 per pound. 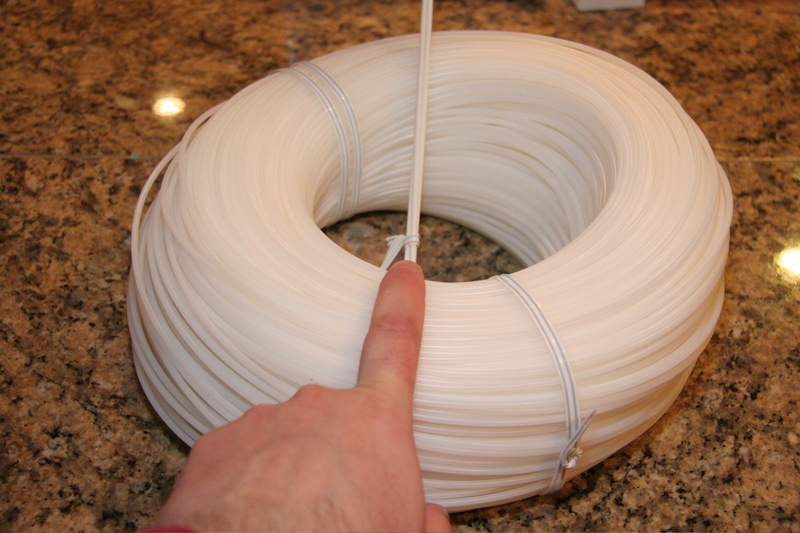 The cheapest I’ve found is Village Plastic will offer 5 pounds of HDPE cord for $6 per pound.I’ve been looking into ways of simplifying the heating barrel and extruder screw. Instead of using a metal pitch screw, I think a concrete screw will be able to grip either the granules or the cord with equal efficiency. I’ve been playing with the Sketchup API. Still not sure how I’m going to slice the printing object. I’ve been looking at some code which generates STL files, so I should garner what I need. 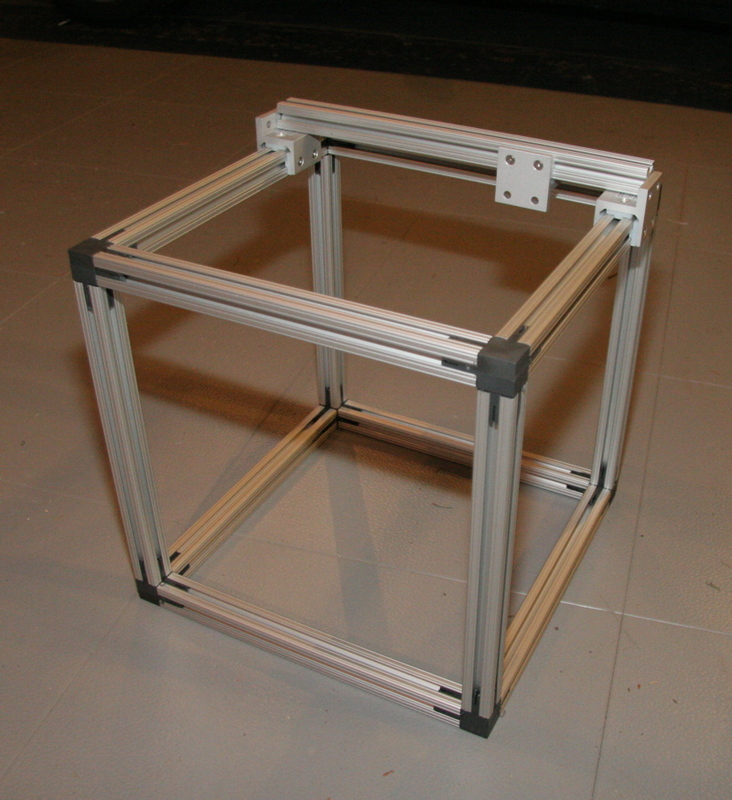 I’ll be ordering structure parts this weekend, and start assembling it next week. You are currently viewing the archives for February, 2008 at OoeyGUI.